Free shipping to United States with $25 purchase from PlannerEnvy. See item details below for sale terms. ✦ Each sticker is 1.5 inches wide by .5 inch in length. 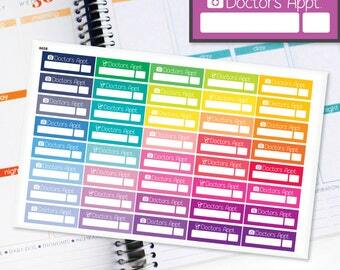 These stickers are perfectly sized to fit the Erin Condren Life Planners as well as many of my own planners, planner downloads and notepads! ✦ Sticker sheet is 5.5inches wide by 8.5 inches long. 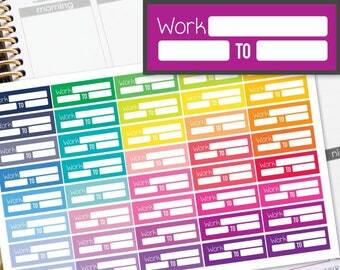 ✦ 40 stickers per sheet. ✦ Professionally printed on matte sticker paper. Once these are positioned, they cannot be moved. 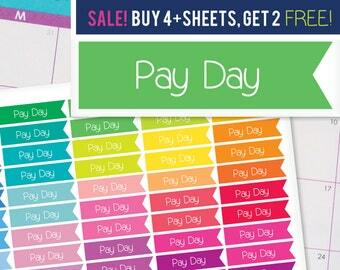 ✦ Bright, vibrant, and ready to make your planner stand out! ✦ These do not have any finish and should be easy to write on with most pens - ballpoint pens and fine tip sharpies seem to look the best! 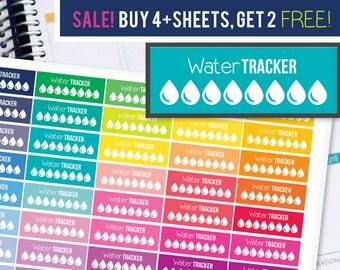 ✦ Save on shipping when you buy multiple sheets! ✦ Spend $15 or more, get 10% off >> "SAVE10ON15"
✦ Spend $20 or more, get 15% off >> "SAVE15ON20"
✦ Spend $35 or more, get 20% off >> "SAVE20ON25"
PLEASE CHECK MY SHOP ANNOUNCEMENT FOR CURRENT SHIPPING & PROCESSING TIME. 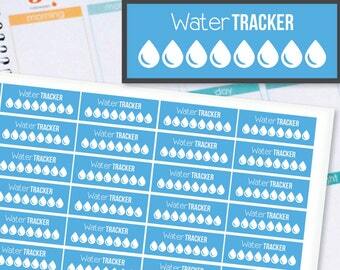 Planner stickers will usually be shipped within 3-5 business days depending on current orders! Please check my shop homepage and announcement to see my current shipping time and make sure I am not on vacation or out of town. Special offer details: 40% off almost everything! Plus free shipping on $25+ (after discounts and before tax.) No codes needed! Cannot be combined with any other offers or codes including the buy 4+ get 2 free sale. Cannot be applied to past orders. Free shipping details: Orders over $25 (before tax and shipping, after any discounts) get free shipping! Payment is required through Etsy or Paypal before any digital designs or physical items are sent. For customizable items, once you complete a transaction, please pay, and submit all of your specifications in the "note to seller" field. Any custom colors, extra pages, rush order requests, and other changes need to be purchased and paid for in addition to your item, unless otherwise noted or discussed. Returns/Replacements are accepted only in the case of damaged or defective sheets of stickers. Customized digital files will be emailed to the address you have on file with Etsy once payment is received and after allowing 3-5 days for the creation of your purchase. Instant downloads will be instantly available for download once payment is received. You will receive an automatic email from Etsy to be able to download your file(s) - or you can do so from your "purchases and reviews" page under your account tab on Etsy. 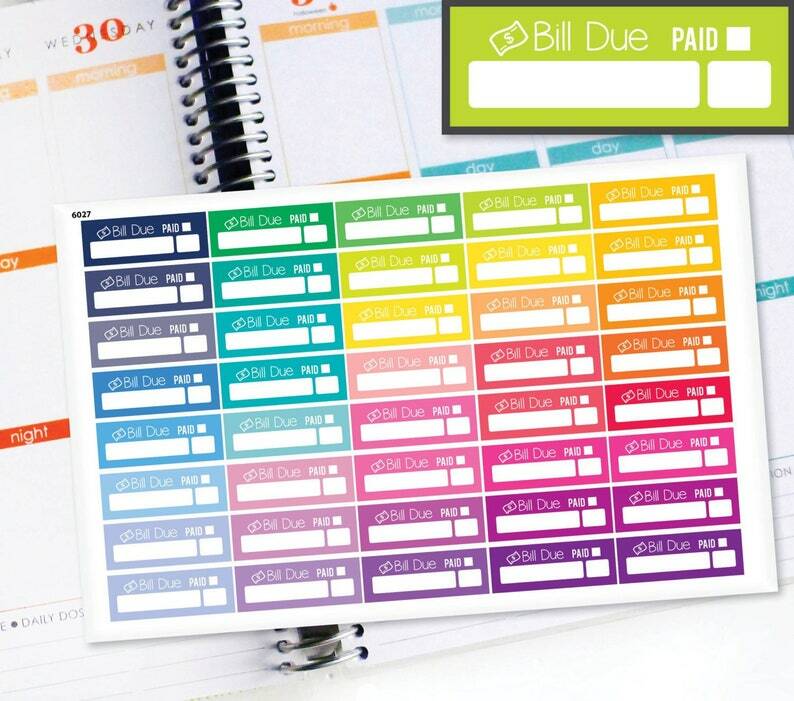 Planner stickers will be shipped within 3-5 business days depending on current orders! My customized planner downloads AND instant download "Build Your Own Planner" files, including but not limited to, the monthly view pages, daily view pages, note paper, year in review, weekly summary, bucket list, yearly summary, and all other downloads available in my shop can be used FOR PERSONAL USE ONLY. The file(s) cannot be used for re-sale (alone or as part of a group or package, as-is or edited), be replicated or copied in any way (printed or digitally), or be shared with others. Using the file(s) for re-sale or sharing the files would be in violation of Etsy policy and copyright laws. 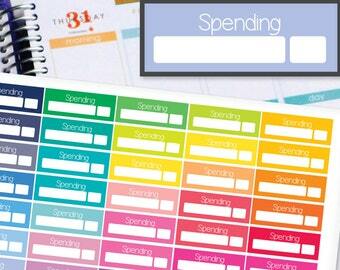 The files can be used for your own personal organization and planner needs - and can be printed for personal use only. Using the content, breakdown of sections, copying the look of the design / layout is also in violation of copyright law. © 2015 Planner Envy.